My next thru-hike for 2019 will be a crossing of the Pyrenees from Atlantic to Mediterranean via the Haute Route. Here’s a little background on this hike, and some provisional thoughts about gear. 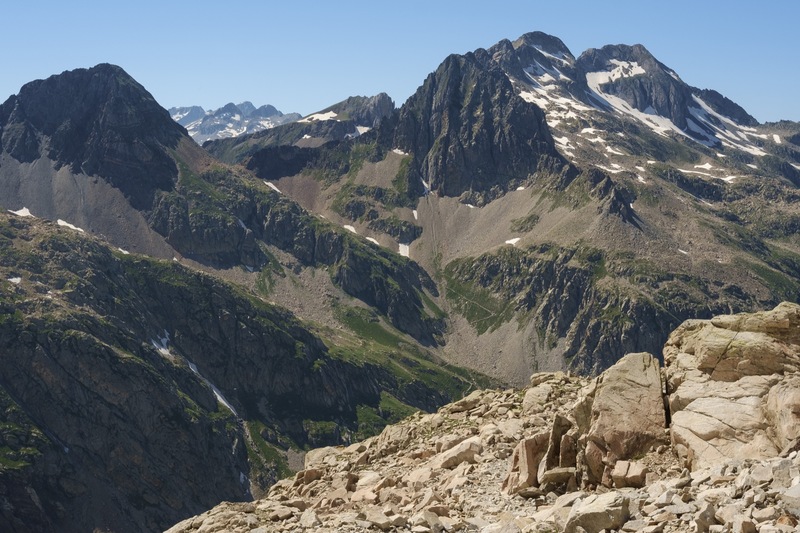 What is the Haute Route Pyrenees? It’s been a long time coming. Ever since I got back into long-distance backpacking several years ago, I’ve had my eye on longer and more technical routes. To date, the Cape Wrath Trail has been my most ambitious trip (particularly my second CWT, which ended up exceeding 500km in total). I’ve done far more technical alpine-style long-distance hikes but they have always been comparatively short, no longer than around 200km. The HRP exceeds 800km; some variants approach 1,000km. Much like the Cape Wrath Trail, the HRP is a nebulous concept. It often sticks between the two established long-distance trails of the GR10 (on the French side) and the GR11 (on the Spanish side). 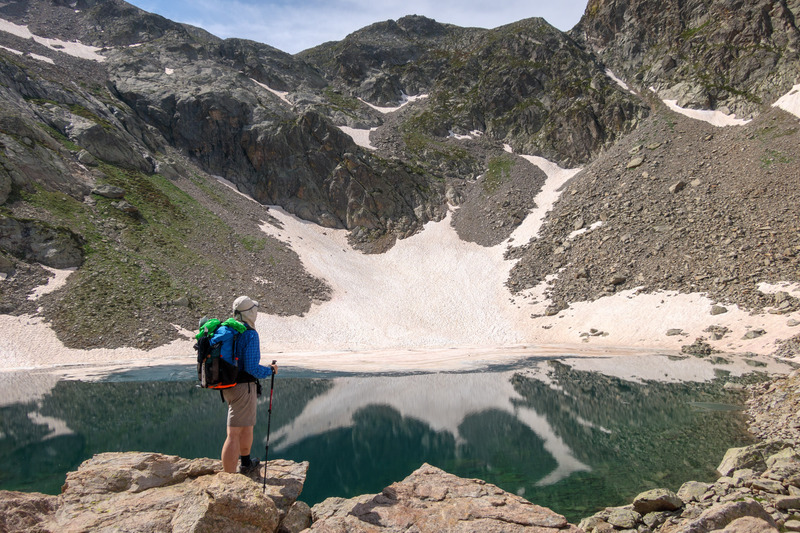 These popular trails are waymarked, while the HRP is not; it’s a higher, wilder route, with plenty of rugged and technical hiking in the high mountains. The HRP appeals to me because it takes the hiker to more remote areas. 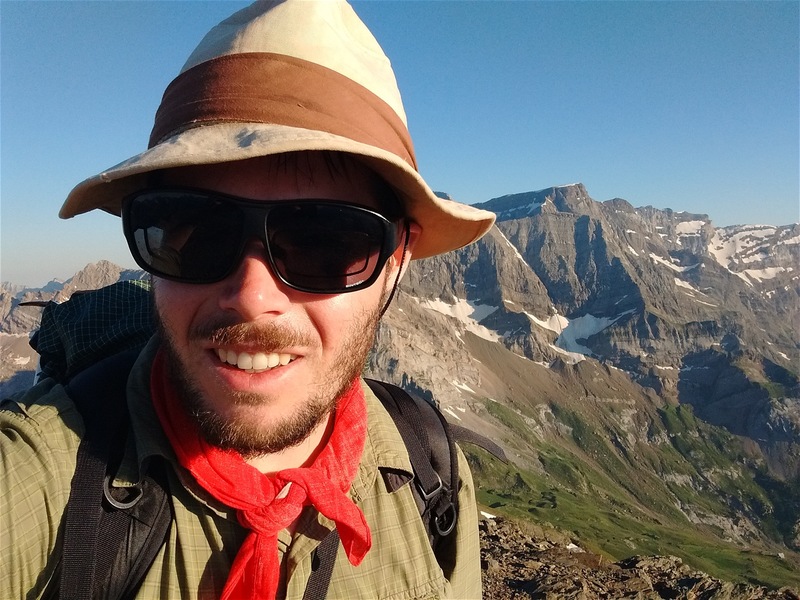 I’ve been dreaming about a thru-hike for several years, ever since I completed a section of it in 2016 between Cauterets and Vielha. The HRP has many of the challenges common to other alpine areas, but a few unique ones as well. There’s significant ascent and descent every day. Total elevation gain varies depending on the route chosen, but a common figure you’ll see online is around 42,000m. Many sections involve steep, loose rock, or even outright scrambling. Very serious weather could potentially be encountered, although weather patterns in summer are often stable and fairly predictable. Afternoon thunderstorms are commonplace, especially in the higher mountains. These storms can be savage but don’t usually last for more than a couple of hours. Because it’s a high-level route, often climbing above 2,500m, steep late-lying snowfields can be a challenge well into the summer (although far less of an issue than in the Western Alps). The highest point on the main route is Col Inferieur de Literole at 2,983m. In the event of bad weather, alternative routes exist – often by diverting along sections of the GR10 or GR11 instead of the HRP. I adopted this tactic in 2016 when hiking through a spell of major thunderstorms. Temperatures could drop to around -5ºC at night and climb to above 25ºC during the day, or higher at the arid eastern end of the range near the Mediterranean. Wild camping (or ‘bivouac’) is permitted in most of the mountain areas, although in some regions it’s restricted to 7pm-7am. There are numerous huts, refuges and cabanes too. I plan to wild camp most or all of the time. The trail passes through or nearby several towns and villages, but this is a more remote line than the GR10 or GR11. Unless you’re regularly eating at refuges, supplies will need to be carried for several days at a time. There are no wildlife-related issues to speak of in the Pyrenees. Although a tiny population of bears roams throughout the mountains, the chance of any interaction with hikers is vanishingly small. The same goes for wolves. At a much smaller scale, bugs such as mosquitos and ticks are present in some areas, but unlikely to require specific countermeasures such as bug netting, DEET, or permethrin treatment of clothing – this isn’t the Scandinavian Arctic. I will be making a few changes to the gear list I used in 2018 on the Mercantour Traverse. My gear list is not finalised yet, but you can check it out at Lighterpack here. I anticipate a final base weight of roughly 5.2–5.9kg. The usual disclaimer: the gear I use is a mixture of stuff I’ve paid for myself and items that have been sent to me free of charge for testing and review. Nobody pays me to promote their brand, and I’m not shy about criticising items if warranted. My opinions and reviews are strictly impartial. This means that if I’m promoting an item, or otherwise telling people it’s great, this is my genuine opinion based on my experience and expertise. 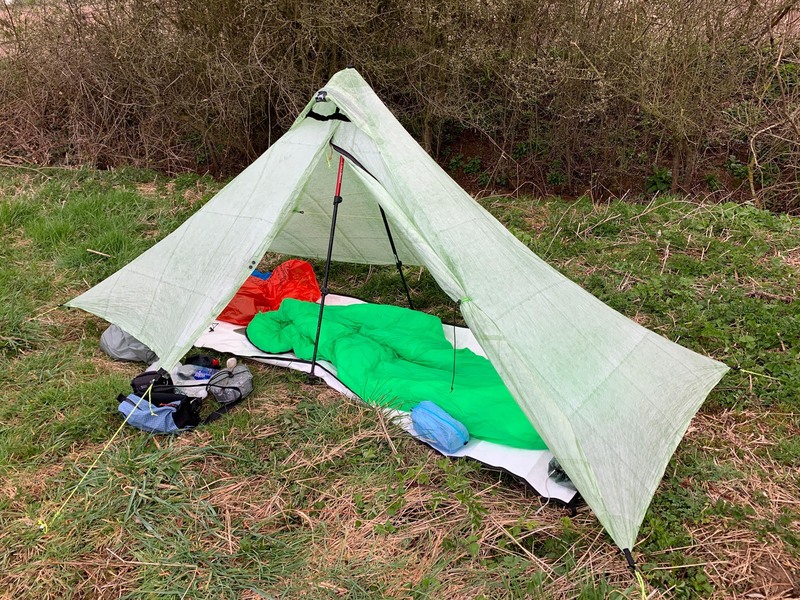 Although the Tarptent Notch is a fantastic shelter, I wanted something lighter for the HRP with better protection against splashback in thundery downpours. I’ve chosen the Solomid (DCF version) from Mountain Laurel Designs. I’m a happy Duomid user, so the Solomid was an obvious choice, and the DCF fabric offers significant weight savings. Tent pegs will be the usual combination of Groundhogs and titanium nails. I’ll be using a simple tyvek groundsheet instead of an inner tent, but I may decide to add my MLD Superlight Bivvy. On my Mercantour walk I did not take a bivvy, and wished I had it one night when torrential rain led to a flooded pitch and a splashback-spattered quilt. 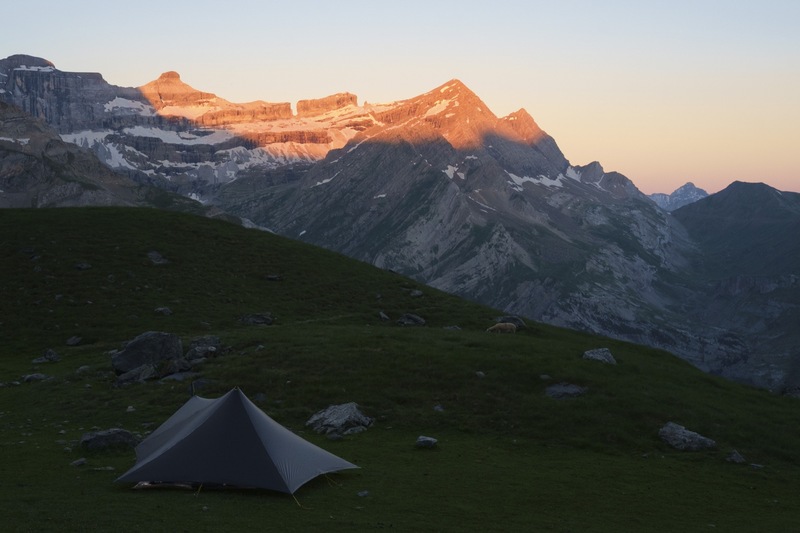 However, the Solomid can be pitched lower to the ground than the Tarptent Notch, and a bivvy is not required for bug defence in the Pyrenees, so it isn’t an essential item – I’m inclined not to take it. The jury’s still out on this one! I’m in talks with Marco at As Tucas regarding his new Foratata down quilt (currently in development) and am hoping to be able to take one along with me on the HRP for some serious testing prior to a review. Otherwise, it’ll be my tried-and-true Sestrals synthetic quilt (also from As Tucas). My sleeping mat will once again be a short folded section of thin foam – the same mat I’ve used for most of my summer long-distance walks for many years. I’m used to sleeping on hard surfaces and it’s far more reliable than an inflatable mat. I’ll once again be carrying the superb 50L Prospector from Atom Packs (a Keswick-based cottage gear manufacturer). Last year I used the very first carbon-framed Prospector, and after the trip it went back to the workshop for some modifications and upgrades. The new Prospector has a better frame and a few other tweaks. This pack is easily the best I’ve ever used because I had it built to my exact requirements and body dimensions. 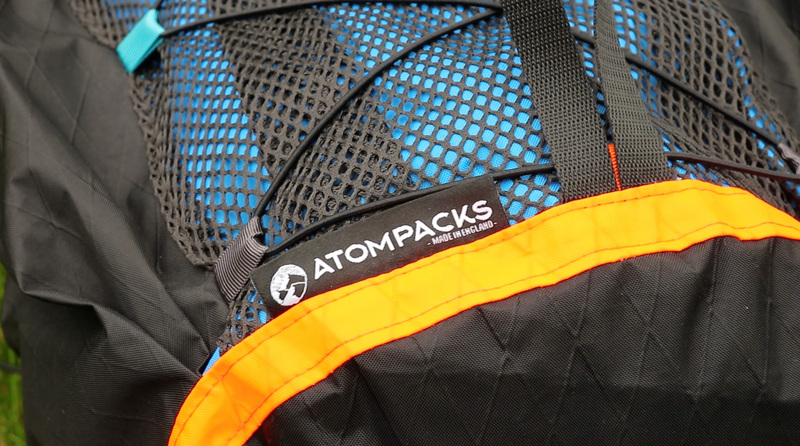 Other storage will be pretty standard: the Thrupack Summit Bum (a backpacking-oriented waist pack for keeping gloves, snacks, phone etc), a simple Tread Lite Gear pack liner, Tread Lite Gear cuben packing cells, silnylon stuff sack for food, and assorted ziploc bags. Update 17 April 2019: I am considering replacing the windproof trousers + rain kilt combo with an ultralight pair of overtrousers designed for mountain running. Watch this space. Again, no surprises here: it’s my standard alpine wardrobe. I anticipate warm and fairly dry conditions most days, so my clothing system is built around running shorts and a lightweight shirt. I’ll get heavy use out of the windproof layers but hopefully won’t be using rain gear or active insulation that much. My clothing selection is minimal but experience has shown it can cope with robust conditions for days if needed. The only change I’ve made is to replace my sleeping T-shirt with a (heavier) Montane Allez Micro shirt that can double up as a warm mid layer if needed. I have a few different pairs of trail shoes in stock at the moment. I may hike in the Brooks Cascadia 12 (new to me), or I may choose the Salomon Evasion 2 Aero (very similar to the Eskape Aeros I’ve been using since 2017). As usual, I’ll be hiking without a stove – I prefer the simplicity. This means that my only item of food-related gear is a spoon. Altogether I’ll be carrying 5.5L of water-carrying capacity, but I don’t anticipate needing more than a litre or two most of the time. The Sawyer Squeeze filter will be a vital item given the prevalence of livestock in the Pyrenees. 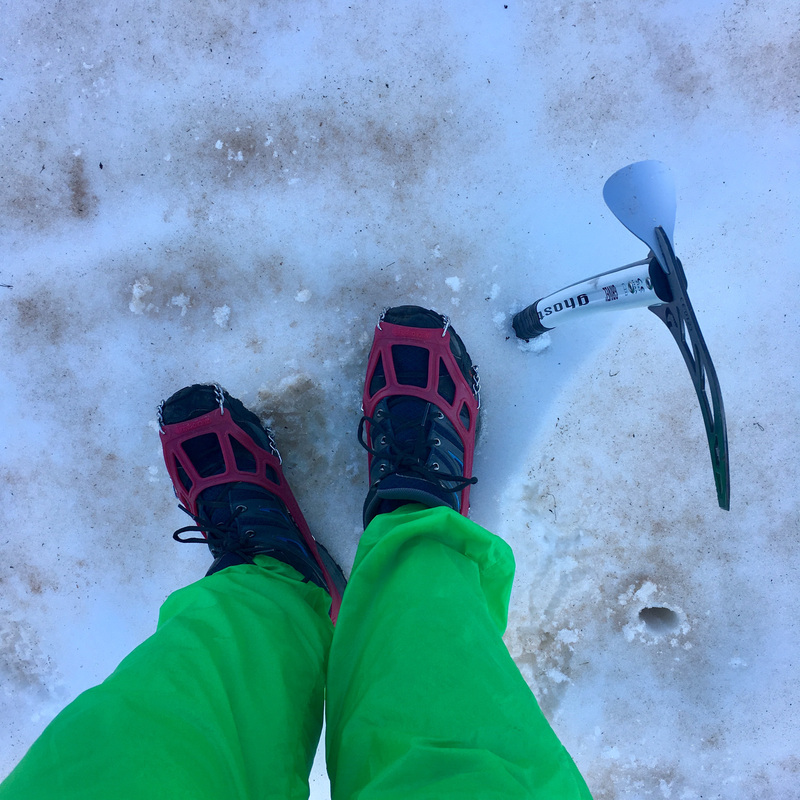 An ultralight ice axe and Microspikes can cope with any snow or ice I’m likely to find on an alpine-style long-distance hike. I’m keeping an eye on snow levels in the Pyrenees, but by late July I don’t anticipate needing to deal with more than the odd snowfield at high elevation. If the snow melts more quickly than usual, I may decide to leave these items at home. I’ve been using the Grivel Ghost ice axe since 2017, but this year I’ll be using the traditional ultralight choice – the Camp Corsa. Why? Purely because it’s lighter. The alloy pick won’t be as durable as the Ghost’s steel pick, but I don’t anticipate needing an axe much on the HRP. 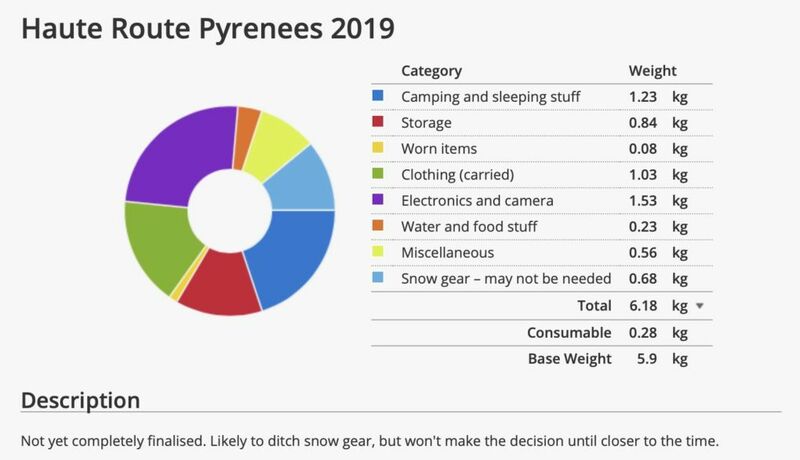 I’ve made some changes here since last year and the total weight of this category has gone up since my Mercantour walk (but it’s a lot less than I took on the Cape Wrath Trail in February). I’ve finally upgraded my old iPhone SE to the iPhone Xr, which is heavier and larger, but also waterproof and has a bigger screen (not to mention a significantly better camera and longer-lasting battery). This will mainly be used for digital mapping and assorted communications. 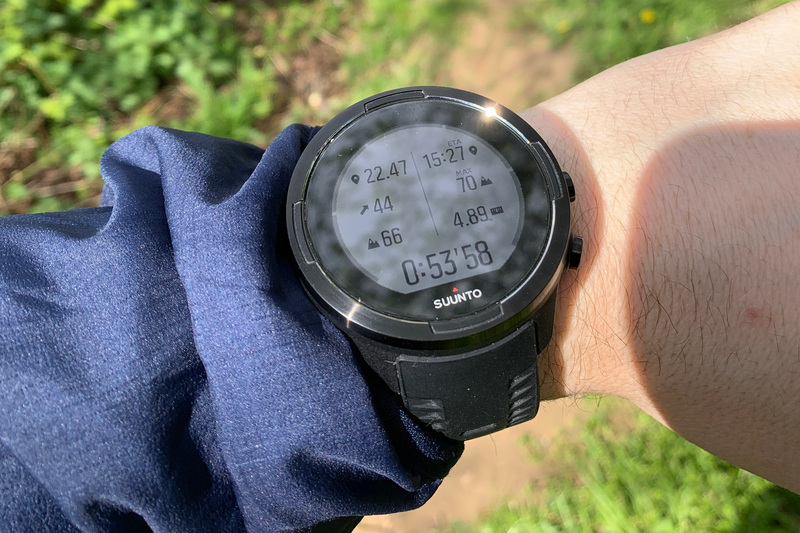 I’ve made the decision to replace my basic Casio wristwatch with the Suunto 9 Baro. This will be used for recording GPS tracks and for other simple navigational tasks. I had two smartwatches on test last year, and while the Garmin has gone back to the PR, I’ve kept the Suunto. It isn’t perfect for a backpacking watch but will do the basics very well, and should last for several days of GPS tracking between charges. The camera kit has been completely replaced. I’ll be carrying the Sony a6300 with 16–50 lens. While the Canon G9x Mark II I carried last year was adequate, it scarcely offers better image quality than the iPhone Xr. An APS-C sensor is the sweet spot for my needs. Read more about my switch to Sony here. For lighting, I’ll be using the Petzl Zipka 2 again. While an E+Lite would be adequate for use in camp, the Zipka 2 is far more usable for night hiking thanks to its brighter beam. It can also be recharged over USB. I’ll gladly take the 30g weight penalty for those advantages. I’ll be carrying my 20,000mAh Anker power pack to charge this lot. It should keep me going for around 9–10 days between charges. The next stage of my planning will be to sort out travel and logistics. Keep your eyes peeled for a further blog post on this in the coming weeks! 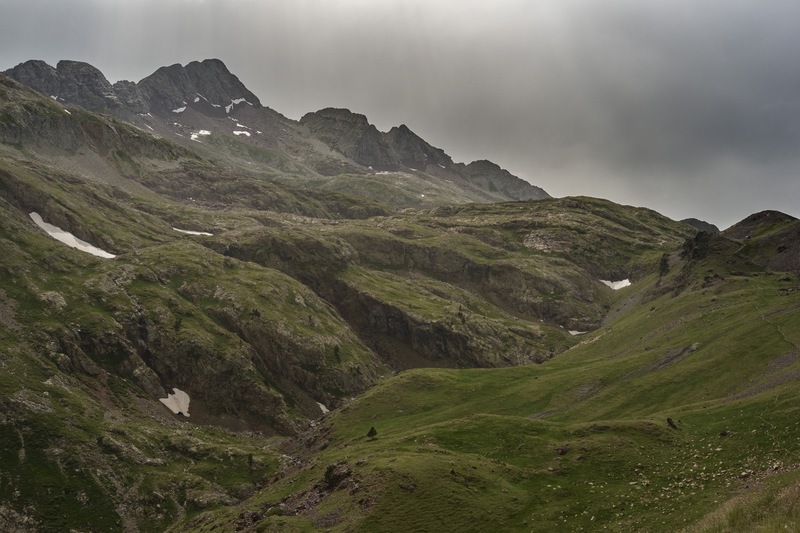 The Pyrenean Haute Route (Cicerone Press) – in April 2019, Cicerone released a new and updated version of their HRP guidebook. Whiteburn’s Pocket HRP guide – one of the better online guides to the HRP, and can be printed on just a few very compact sides of A4. HRPGuide.org – an excellent online guide to the HRP. It can be obtained if you make a £15 donation to a charity supporting Nepal earthquake relief. 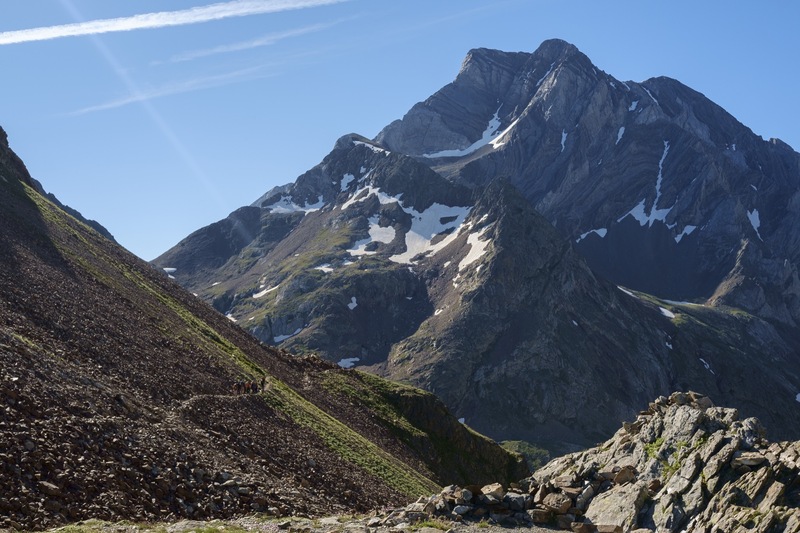 A Quick & Dirty Guide to the Pyrenean Haute Route – Cam Honan’s excellent introduction to the HRP. Viajarapie’s intro to the HRP – Inaki hiked the Haute Route in 2005. There’s much valuable info in his trip report. Richard Hartfield’s video series on the HRP is also fantastic for inspiration. Jealous, Alex.. Even though I’ve through-hiked the Pyrenees before. I ended up in hospital there at one stage, and the doctor took a shine to me. She subsequently invited me on holidays in Biarritz and Paris. You never know what’s around the next bend! Impressive gear list – I struggle to get below 10-11 KG, so Ive printed this off for study and thought..
what will you eat, as you are going stoveless and I don’t even see a bowl. Do you not normally take a PLB? Thanks Chris. This gear list is the result of several years of trial and error – five years ago my Alpine backpacking base weight was more like 12kg, and I certainly couldn’t have cut it straight down to <6kg in one go. I’m enjoying the learning process though! I’ve also experimented with cold-soaking cous cous in a peanut butter jar, but to be honest I’m usually fine with a selection of stuff from the above list. I don’t carry a PLB, although in February on the Cape Wrath Trail I had a SPOT X device (on loan). I don’t have plans to purchase one for myself. To be honest the idea of having one makes me a little uneasy, as studies have shown they can influence decision-making in remote areas, making the hiker more likely to take risks.